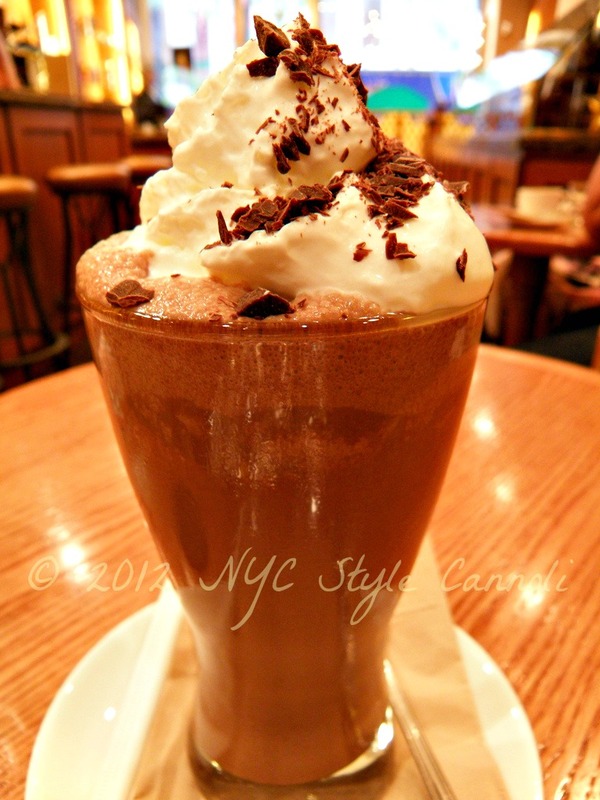 Photo Gallery Thursday " A Cold Drink at La Maison du Chocolat"
Now that the warm weather is on it's way, this fabulous drink is something you will be craving! From the amazing La Maison du Chocolat, a frozen hot chocolate. Yes, you heard me correctly. It was so tasty, and actually not that sweet. They also make wonderful french macarons, as well as handmade chocolates and pastries for your chocolate obsession. They have 4 locations in the city, Madison Ave., Rockefeller Center, Wall Street and The Plaza Food Hall. If you happen to be walking by one of their chocolate boutiques, be sure to stop in !! my tummy is grumbling .. its almost lunchtime and that looks delish!